The international cuisine institute Le Cordon Bleu, one of the most respected in the world, has opened the applications for the campus of Rio de Janeiro available at the institute website. Full scholarships will be offered to students formed in state public schools, a partnership of the institute with the State Government. With a touch of French Art de Vivre, the school will offer the same teaching programs that are part of the international classic Le Cordon Bleu curriculum. The institute is already preparing to bring to Brazil renowned national and international chefs who will be invited to lectures and classes. An exchange that promises to increase the gastronomy market in Brazil, as Sofia Mesquita, Regional Director Business Development Le Cordon Bleu Paris Brasil, points. 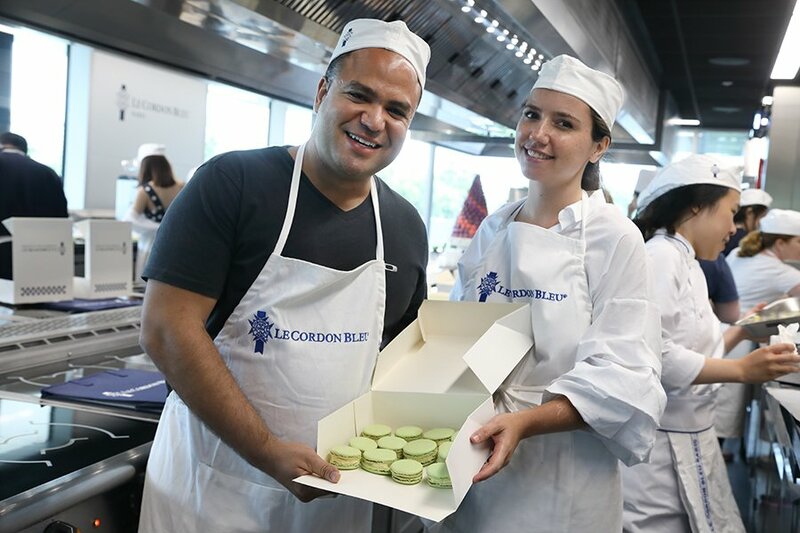 "Le Cordon Bleu comes to the country bringing investments and opening new business between Brazilian and foreign professionals since the institute is present not only in France but in 20 countries. We believe that more opportunities will also be created for young Brazilians, who will have the chance to study at an international school”, she says. Students will be able to take certificates divided into Basic, Intermediate and Superior levels to obtain the Diplôme de Cuisine or Diplôme de Pâtisserie. After completing the two diplomas, which can be obtained in up to nine months, the student receives the highest level of qualification with Grand Diplôme, one of the most desired courses in gastronomy. The campus will also offer the Cordontec Program with the Diplôme de Commis Cuisinier, which can be obtained in two years. It is worth remembering that all courses are recognized worldwide by companies and professionals of gastronomy and are a passport for students who wish to build an international career. Located in Botafogo, the building has a two-story infrastructure, where six professional kitchens will be distributed, among them, one dedicated to production, another to international cuisine and other polyvalent ones. With theoretical and practical classes in laboratories, students will also be able to show their talents in the restaurant of application of the school that will have as mentor Chef Roland Villard. Le Cordon Bleu is an internationally recognized network as one of the best educational institutions dedicated to providing the highest level of culinary instruction. Today, the institution is present in about 20 countries with 35 international schools attended by 20,000 students annually. Over the last century, Le Cordon Bleu experienced a revolutionary change as it evolved from a Parisian culinary school to an international network of culinary arts and hospitality institutes. In addition to acting in the area of education, the international institute offers a diversity of restaurants, as well as numerous patisseries and cafes under the Le Cordon Bleu brand. The institute also responds to the creation of various educational media, such as culinary publications, instructional videos, TV series, cooking equipment and more.